Bulgaria's state and state-guaranteed debt amounted to 5.095 bln euros as at the end of February 2008, down by 36 mln. euros, compared to a month earlier, Ministry of Finance data show. Domestic and foreign debt accounted for 1.618 bln euros and 3.476 bln euros of the figure, respectively. 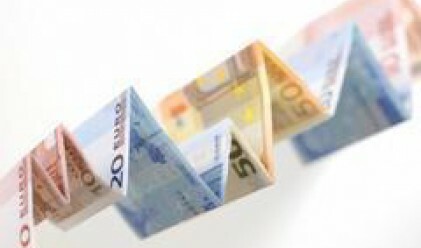 The state-guaranteed debt stood at 567.4 mln euros as at the end of February. The decline of the state-guaranteed debt may be put down mainly to currency exchange differences, the Ministry of Finance said. State debt stood at 16.1% of GDP as a the end of February, down by 0.2 percentage points compared to the previous month. Foreign and domestic debt stood at 11% and 5.1% of GDP, respectively. The state debt stood at 1.8% of GDP as at end-February. Domestic debt accounted for 31.8% of the state and state-guaranteed debt as the end of February, while foreign debt made for 68.2% of the total. The Ministry of Finance held an auction for the sale of treasury bonds on the domestic market. The total value of the approved orders for five-year treasury bills stood at 30.0 mln leva. The debt payments made by the government since the beginning of 2008 stand at 432.9 mln leva. Foreign debt payments stood at 158.0 mln leva, while domestic debt payments totaled 274.9 mln leva. Payments in euro accounted for 44.8% of the total payments, followed by payments in leva (36.5%) and in U.S. dollars (17.4%).